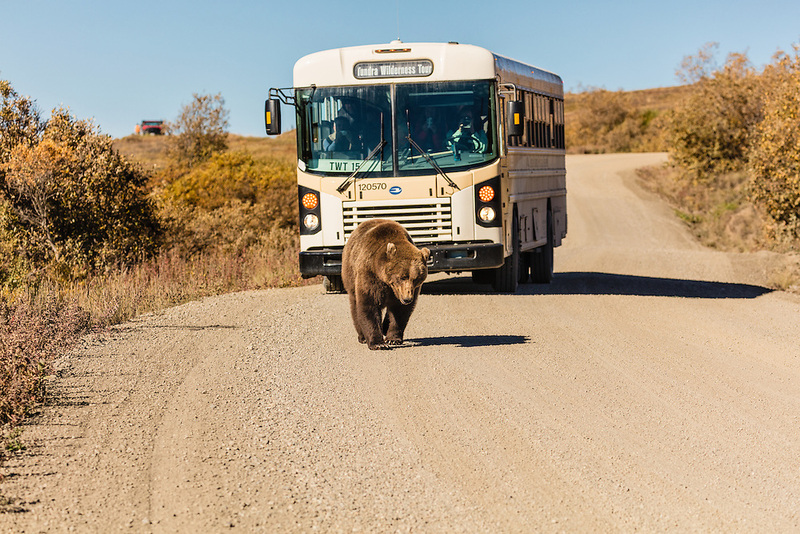 Grizzly bear (Ursus arctos) walks down the road in Sable Pass as a tourist bus looks on in Denali National Park in Interior Alaska. Morning. Autumn.